Winter comes with its own set of safety rules - drive carefully in snow and ice, keep fire hydrants clear of snow, and keep space heaters away from items that could catch fire. But one of the most important rules to keep you and your family safe in the winter is to have a functioning carbon monoxide detector. Unlike a fire, CO has no warnings. In the wake of the recent New Hampshire tragedy where three people died because their CO detector did not have working batteries, it is a reminder to us all to be vigilant about updating CO and smoke detectors. 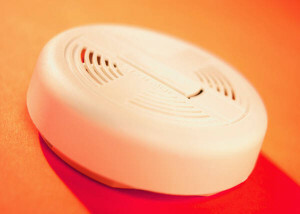 As real estate professionals, we know a home seller is required to have working smoke and CO detectors on every level. But we also know that people are not always disciplined about keeping up these devices. In addition to CO, this is also the time of year to be aware of snow build-up on roofs. Recently, a carport collapsed and killed a woman in Weymouth. And always check your car tailpipes for snow blockage which can cause carbon monoxide build-up in your car. Likewise, check your home's exhaust vents which can also get blocked by drifting or piling snow. Follow the rules of winter and it could save your life.